End of 77th Entry: A few really happy weeks now passed for the dozen Englishmen in the lager were all, more or less, men who were of the right stamp and determined to make themselves comfortable. …seeing him lying in a pool of blood for nearly an hour. Another guard who tried to bandage Mac was knocked down by his Corporal. As soon as the old man was well enough he was tried and sentenced to, I think, fifteen years penal servitude. 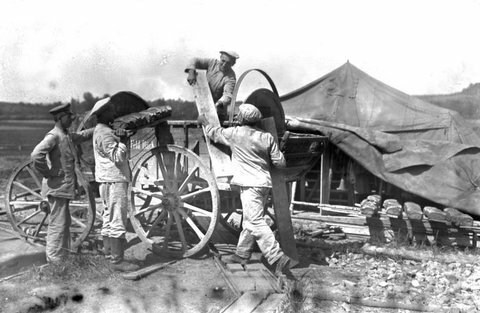 The American Ambassador visited the camp about this time and took up the case and, after the war I heard that for the next two years Mac was ‘cushy’ travelling around the country being court-marshalled, appealing against his sentence; being tried again, appealing etc. He gradually got his sentence reduced to five years but the Armistice came just before the final trial so Mac actually never did more than a few years imprisonment. My teaching billet was quite a good thing. The Russian students were a jolly crowd all cadets of great families and though none spoke English all were excellent French, German, Polish and Latin scholars. It was my job at first establishing a medium of instruction. We started by my using broken German and scraps of Latin. Very very slowly at first, we began to make progress and in a surprisingly short time they could read and understand fairly well and began to attempt conversations and compositions. For this work I received a light breakfast every morning and a free pass over the lager. 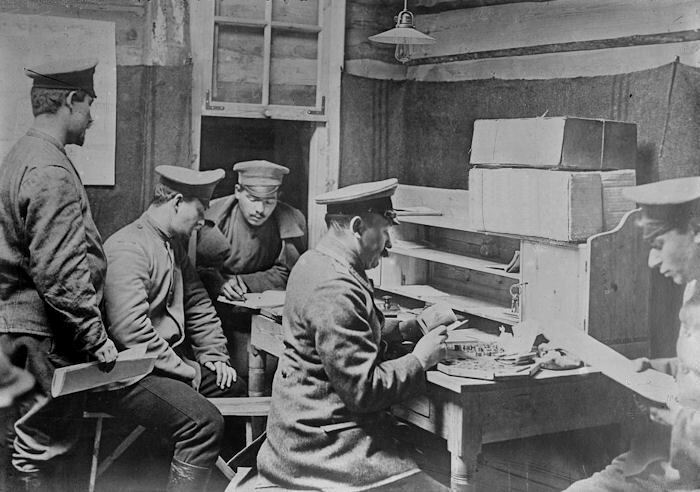 I also began to learn the inner workings of the camp and to find that the Russian and French Committees by bribery simply controlled the camp. Everything was getting unprocurable in Germany now and huge prices were offered for everything we received in our parcels. 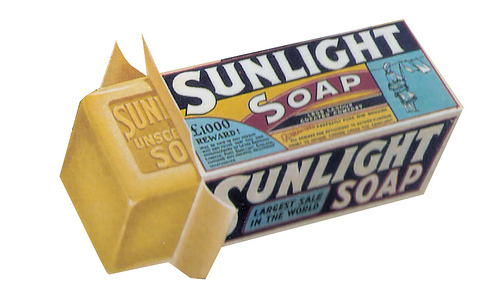 Soap appeared to be the most needed, twenty Marks and more readily offered for one pound of ordinary Sunlight soap. By selling a little we were able to buy knives, plates, forks etc. and began to make ourselves quite comfortable. The Old Hands knew too much and were too clanny. However, most of them turned out a first-class crowd though there were a few exceptions. Our new comrades were from Sagan lager some thirty miles away and all had been through cruel hard times. Amongst them being survivors of Wittenberg and the less known but every bit as bad as Schniedemuhl Camp. Edit: At this time Schneidemuhl was the base of 149 Infantry Regiment. The stats for Schneidemuhl POWs as of October 1918 were as follows: French: Officers 1 ORs 4890 Russian: Officers 5 ORs 33536 Belgian: Officers 0 ORs 61 British: Officers 0 ORs 2722 Serbian: Officers 0 ORs 17 Romanian: Officers 0 ORs 5 Italian: Officers 0 ORs 369 Portuguese: Officers 0 ORs 52 Civilians: 82 I can only assume that Canadian and Australian numbers were included with the British which are actually listed as ‘Englander’. For the past few months, however, Fortune had smiled and they arrived loaded with food, clothing and a portable organ with various other musical instruments. Sentries, Prisoners and all had stopped at every ‘pub’ on the way and to those who knew Germany, this means a good many “Gaast Huizen” in a thirty-mile walk. First of all the Sentries departed for the “lock up” and then our little sword loving Feldwebel tackled the prisoners – but he had to deal with fellow Sergeant Majors and men who knew the language and their rights and privileges. In a few minutes, our little terrier was frantic with rage. He sorted them out at last and stuck a couple at attention for punishment. 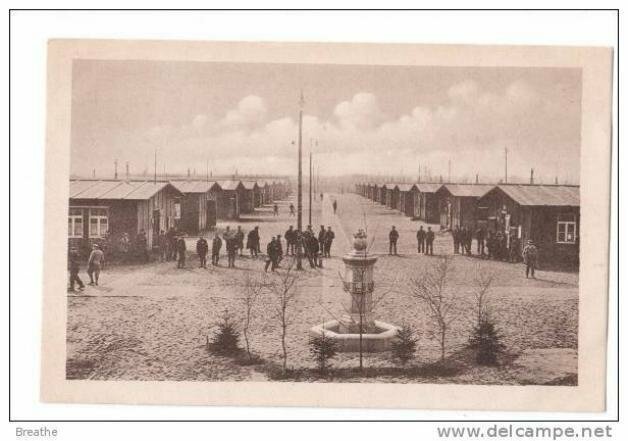 The others were alloted to different Barracks a whole block being cleared of Russians and turned into a purely English camp. The majority of the men belonged to the Royal Irish Regiment and were as happy-go-lucky a lot as anyone could wish to meet. Amongst the arrivals were one of the 1st Life Guards and the Indian already mentioned. No sooner where the Old Hands in the Barracks than they started a concert and it quite jarred seeing men actually enjoying life for we were then only beginning to realise that the War might last for years and had not forced ourselves to face the prospect of years of captivity and to take life as it came. The bulk of the newcomers were Irish Catholics who after being captured had spent an easy time in Limburg Camp been visited by Sir Rodger Casement and learning the history of Ireland. Fritz and spent endless time and money in attempting to seduce them from their allegiance to Britain’s King promising to form an Irish Brigade for service in Ireland only. As with all Irishman serving in the King’s Army the men treated this sort of propaganda as a huge joke. Fritz was led on to believe that every man’s one wish was to join up against England but before definitely committing themselves all kinds of grievous doubts and fears had to be dispelled. Fritz became weary of sending Celtic professors and historians to teach Irelands’ wrongs, besides finding the job an expensive one. The Irish Catholic’s on receiving it issued an ultimatum, manhandled Casement, who was in charge of the propaganda work, laughed at the Hun and cheerfully departed to the coal mines. 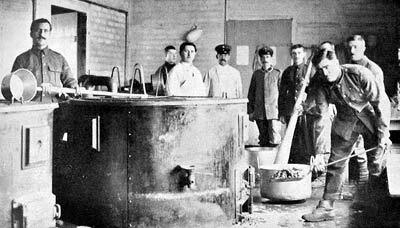 The day below as the workers assembled to come up one prisoner with a “Cheerio Mates!” smashed his lamp against the wall – fire damp was so thick the casualty list with high. This ended the experiment and after a sojourn in Sagan, many of the men were transported to Sprottau. The manuscript from which I have created these blogs ended with two brothers and three friends finding themselves in the King’s Army and going to Europe. There are pages missing where Delville Wood should be. 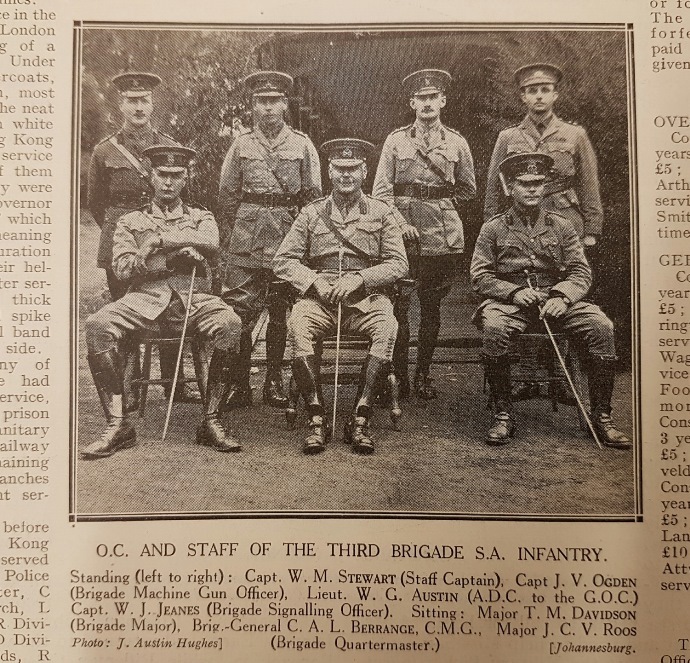 Bernard Meredith Leffler wrote of his experience at Delville Wood in an article for the Star Newspaper, Johannesburg, no date is given, possibly for the opening of the South African Memorial in Delville Wood 1926. Here it is. We weren’t sorry to move away from the near neighbourhood of Montauban or to say goodbye to Gerry’s old trenches. Seven days of heavy strafing had cost D Company some good men and the 16th Platoon had suffered badly. One working party trying to connect up with the S.A. Scottish and the K.O.S.B. had got knocked to pieces by a field battery whilst working in the open in broad daylight. Then the Platoon after watching a heavy battery bracketing it’s trench for what seemed hours got the results of the Boche observer’s notes – they were excellent ones for his gunner buried the whole Platoon and caused us the loss of a Sergeant and several others. Luckily Lieutenant Somerset had “Fragments from France” and most of us fellas possessing a sense of humour found Bruce Bairnfather’s pictures cheered things up a bit. Father Hill, of course, bobbed up in the thick of it and started pressing chocolate on us – “Kept away shell shock” he said – we got half buried together and my language brought strongly worded advice that cursing the hell out of the Germans was wasting time which could be better employed. 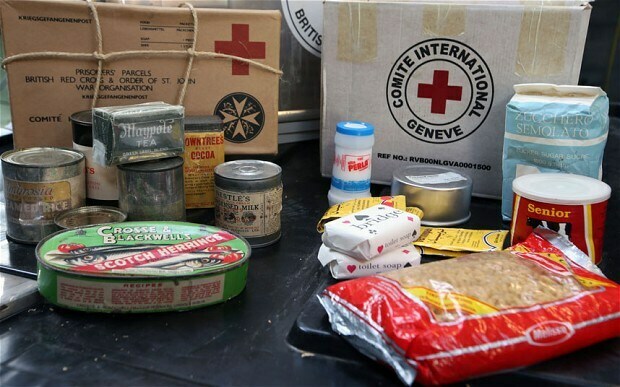 Out of the shelling zone, one good night, there was mail and hot food a pleasant change. Next morning a full cavalry brigade came into the valley in which we were lying. A wonderful sight – Panthers, Hussars, Dragoons all mounted on superb horses – a regiment of the Indian Cavalry rode in with the British – all picked men and in the highest spirits, and batteries of the Royal Horse Artillery galloping past cheered us greatly. It looked as though the War was about over – with that crowd going into action. Just as dinner was about to be served orders came for the South Africans to “Fall In” and we heard that the Highland brigade was breaking through the Germans and we would go over them, carry the final enemy’s position with the bayonet and see the cavalry and Horse Artillery charge into the German Army. We moved up immediately to Montauban halting for a while next to a bundle of flesh and rags which had lain there for some time. Carrying on through what looked like the results of a perfectly good earthquake – it had been Montauban – we were ordered into a trench running at right angles to the road we were on. From here we got a splendid view of the Royal Horse Artillery galloping into action. The batteries unlimbered below us and opened on an objective behind a ridge over which we could see the 4th Dragoon Guards galloping. Then the Indians cantered past. Unfortunately, Gerry began to bombard us with teargas shells and further interest in the Cavalry disappeared. Chemical warfare – A flier’s view of a German gas attack on the Eastern front. 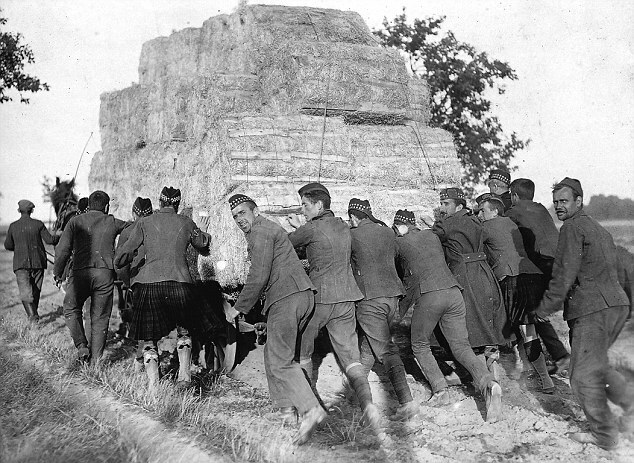 Slightly before dawn we moved out onto the road and began our march to Longueval – a dead Highlander sprawled in the centre of the road was the first sign that we were getting close to our objective. After passing Jock the dead began to get numerous, one side of the road being full of them many still kneeling, held up by the bank – a big crowd must have got gassed we thought. They weren’t Kilties. Then came Germans and British mixed – hundreds – a faint cry brought us to a halt and a search party found a British soldier badly wounded and all in, he’d been lying amongst the dead for two days and was mad with thirst. Shells began to burst around us and we saw Longueval ahead. A mass of smoke and fire through which we could see buildings being blown to pieces – heaps of barbed wire and Highland dead lying in scores tangled up with it. Orders came to fix bayonets and charge magazines and a few moments later we were inside Longueval, half of which the Highlanders had captured. They were still heavily engaged – all house to house fighting – shells bursting, machine guns clattering – dead in heaps, singly – lying over window sills, in doorways, the streets – whole bodies, half bodies, heaps of raw meat and everywhere tartan mixed with German grey. Turning out of the village the 3rd South African Infantry lined a roadway, Thackeray spoke a few kind words. Gerry’s barrage fell on top of us – God knows what happened – nobody stopped except those the barrage got. Most of us beat all records getting a move on and in a few moments we were through the wood digging in along its edge. Snipers were busy and the 16th Platoon lost a second Sergeant and a few men. Then came Corporal Shafqat with a yarn that a trench in front of the wood only contained seven men and a machine gun – he’d counted them from a tree he’d climbed. A party of officers and NCOs crept across and began bombing Fritz – but he had more than six pals. 16th Platoon and some of B company charged with bayonet and brought back three officers, a hundred and thirty-five other ranks and a machine gun – what we killed Heaven only knows. Captain Tomlinson got the D.I.O. and Shafqat the D.C.M. When we got back we found Lance Corporal Biggs and poor old 16th Platoon’s third Sergeant missing. Then we saw Sergeant MacDonald badly wounded trying to crawl back with bullets shooting dust all around him. Lieutenant Guard, Company Sergeant Major Bryant and someone else went out and carried him in under heavy fire – if anyone deserves the VC each of them did. Then came the big German counter-attack – wave after wave they came – a mile of open country, one living grey mass. Some idea of how we were firing may be gathered from my own experience – my rifle was perfectly clean and almost brand new. When the German Infantry waves came in sight I collected and cleaned three rifles taking the bayonets off two. We opened Rapid Fire at six hundred and when the front wave was fifty yards away all three rifles were so hot that, even when using them alternately they kept jamming. Again and again, the attacking waves wavered and halted but always more came over them. 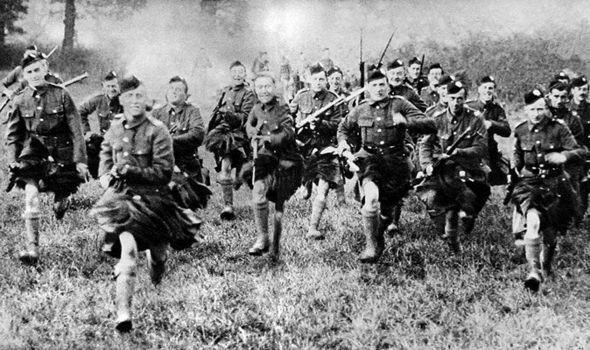 Once they seemed on top of us and I grabbed my bayonetted rifle – then with a yell the South African Scottish came up at the Double and in a whirl of waving tartans flung themselves amongst us and opened up. Almost instantly the German attack turned and our front was clear, the diverted assault flinging itself against the Natal Regiment. Then our artillery began to shell the deserted plain – if only they had started ten minutes earlier – still they put up a lot of Boche who seemed to have dropped out of their ranks and lain hidden – we spent an interesting time sniping the runners. For two days and three nights we couldn’t move a yard – the bombardment never seemed to slacken – shells burst in us, over us, around us – men from other platoons, companies, battalions drifted into little corner – many of them bringing batches of prisoners with them – food gave out, water gave out and our nerves got jumpy. Fortunately, we had a good little crowd and Lieutenant Somerset was as good as a battalion in cheering us. Gordon, the Private Secretary to Malan, Minister of Railways, got a box of Abdulla cigarettes from the body of Somerset’s Batman and we all kept cheery. Then rows began over the disposal of prisoners – there wasn’t room for us all and so the poor Bosch had to go – most fellas would have nothing to do with it, but about four hundred starving men couldn’t keep the same number of prisoners amongst them. On the third-day news came that a big rum ration had arrived and was with a group of NCOs and men who were further down the wood. I volunteered to go and crept past 15th Platoon – all were dead bar one and he wouldn’t leave his pals – I had a cigarette with him and pushed on. Then on a heap of German shell cases, I saw a machine gun team – the cases had caught fire and the Gunners were roasted – beastly sight. Getting to the party who had the rum there were only four of them, I was advised to have a drink and get out quick with what I could carry as they were being killed fast. I didn’t linger but picked up two rum jars and bolted – a shell dropped killing the four as I got off – creeping back I saw that they were all dead so started off home. Passing the 15th Platoon chap I found him dead. The rum was welcome but didn’t go far – I was asked to fetch more but declined. A German field battery now galloped up into the plain and started on us over open sights. A spent bullet and a heavy bit of shell bouncing off a tree hurt me badly. Fleetcroft of the machine guns was killed, his brother’s head was blown into a tree fork. What upset me, even more, was strangely enough after losing my helmet – I picked up a dead man’s and clapped it on my head to find a bullet had gone through shattering the wearer’s skull and now his brains and blood ran down my cheeks. Rain started and we heard we were cut off. German parties now began to attack us from all sides. No grand assaults such as we’d repulsed on the first day, but companies creeping through the wood and over the plain by day and all through the night. 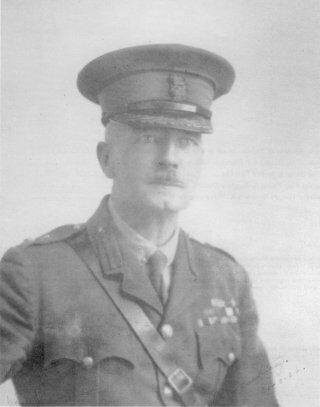 British artillery and mortars began a systematic shelling of us – evidently, our own people had given us up – Lieutenant Somerset went to see whether any opening existed for getting in touch with the British but on leaving the trench was shot through the head. That night, our last one, was pure undiluted hell. 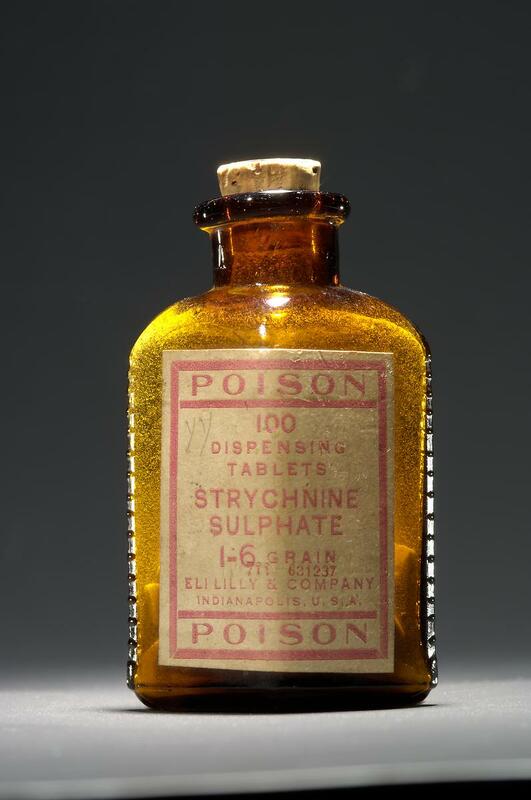 Four hundred details of the brigade and a couple of hundred German prisoners were huddled together in a crude half blown in trench exposed to a merciless bombardment from all sides – few of us anywhere near possession of all our wits absolutely broken body and mind. All half mad with hunger, thirst and weariness – a chap with an injured spine died in ghastly agony next to me – we were shot at, bombed and ever shells in thousands came from German and British guns. Our artillery was especially good. Dawn came at last and with it the final charge – hardly a round or bomb was left, barely a man had the strength to lift a bayonet, few were unwounded, none had tasted food or water for a day and night, and scarcely had we had a full meal for a week. The man next to me blew his brains out with a Lieutenant Somerset’s revolver, some carried on fighting hand to hand and were killed. Several men got hold of Lieutenant Guard who badly wounded was desperately struggling to carry on. Those of us able to walk, about two hundred, began the long, long trail to the German prison camps. Pity the Officer surrendered – three hundred men many of them wounded were captured, two thousand and twenty killed and wounded – eight hundred and thirty-three survivors after six days of fighting. South Africa didn’t do badly and I myself only saw one man go to pieces. They were a good crowd the old South African Infantry. End of 74th Entry: D Squadron hailed Mick’s return with enthusiasm for he was very popular and every man was needed. That very evening the column was advancing to the attack on Ukamas, a German strong point which was supposed to be heavily garrisoned. That evening all sorts of rumours began to circulate of a fixed determination of the regiments composing the command not to cross the Border. Darkness fell. The order came to saddle up and the 18th Mounted Rifles fell in. The bulk of the other regiments refusing to saddle or move. Troopers of D Squadron raging began to quietly slip cartridges into their magazines muttering that they were prepared to attack the others if anyone would lead. The commands came “Prepared to Mount” “Mount” and like one man D Squadron swung into the saddle. Amongst the other squadrons, the response was varied but the bulk stood sullenly at their horses’ heads. For an hour D Squadron sat ready to ride, every man itching to open fire on the cowardly dastards around them. Then came the order to dismount and off-saddle. Next day new regiments rode forward to take part in Van Deventer’s wonderful ride which resulted in the Germans finding their rear threatened, and abandoning their position at Aus. 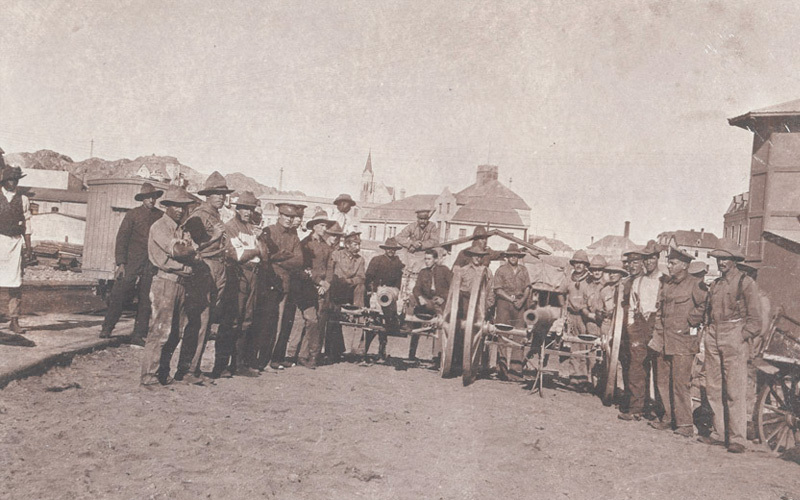 Retiring with all speed the Germans were badly smitten at Gibeon by Colonel MacKenzie with the Natal Light Horse, the Imperial Light Horse, the Umuti Mounted Rifles and the Natal Field Artillery after one of the greatest military marches in the history of warfare. 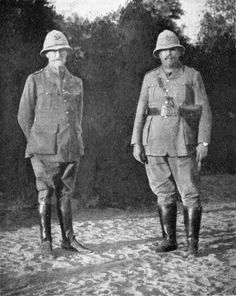 Meanwhile, the 18th Mounted Rifles, the Midland Horse and various other Cape Colony Boer units rode back to Upington to be disbanded. 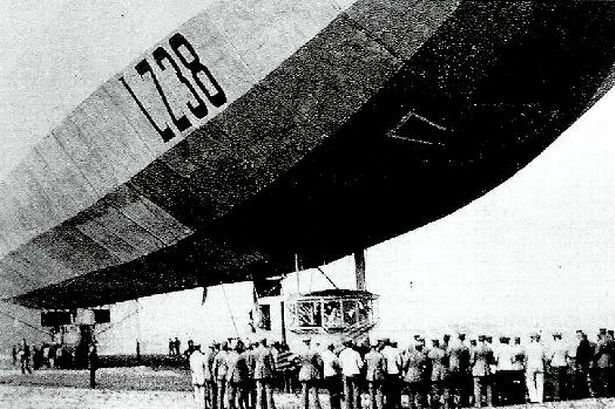 After a long dreary ride, the troops arrived back in Upington, D Squadron in a bitter evil temper. No delay was made in disbanding the regiment each man received his pay and two months leave pending discharge. Thoroughly disgusted with the Union Army Mick proceeded home to Cape Town to receive a wonderful welcome the joy of which was sadly marred by the feeling of absolute hatred of anything Dutch. A hatred which would never leave him. Mick’s mother was half Dutch, many of his friends and relatives belonged to the race but to Mick, the Boer was tainted. Mr Osmond vainly argued pointing out the wonderful loyalty and courage displayed by the bulk of the Boer race – Mick sneered. “They know which side their bread is buttered, most of them, but damned few know the meaning of the words Truth or Honesty. For a few days, Mick hunted around for means to go overseas. He tried steamers for work as a fireman, coal trimmer or deckhand; interviewed relatives for a loan, approached the Imperial Army Officers still in Cape Town but every shipping company was flooded with applicants like himself. Then one night at the theatre he met an old friend of his Marandellas days then a B.S.A police trooper now Captain and Paymaster of the 1st Rhodesian Regiment. He proposed that Mick transfer to the Rhodesians who would shortly be proceeding overseas as a unit. Mick welcomed the offer and next day after wiring the 18th Mounted Rifles depot at Kimberly was transferred to the Rhodesians with the rank of Staff Sergeant. Six weeks passed – weeks that did Mick no good. He travelled to Kimberly to receive his discharge from the 18th Mounted Rifles who were being demobilized – this broke his service as the transfer was for some reason disallowed thus involving a new enlistment in the Rhodesian Regiment. On his return Mick found himself being everlastingly dragged into bars by a fellow Staff Sergeants and a thousand and one old acquaintances. There was practically no work as the regiment was in German West Africa and with ample leisure, a high rate of pay and numerous friends Mick lived a life of utter dissipation. Soon wearing Mick applied for and got a transfer into the 2nd Battalion of the Transvaal Scottish gladly relinquishing his rank and pay as a Staff Sergeant to become a private. 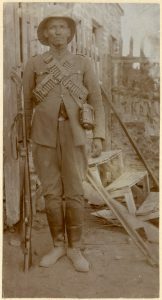 Three days later he left for Luderitzbucht with two Officers of the battalion. 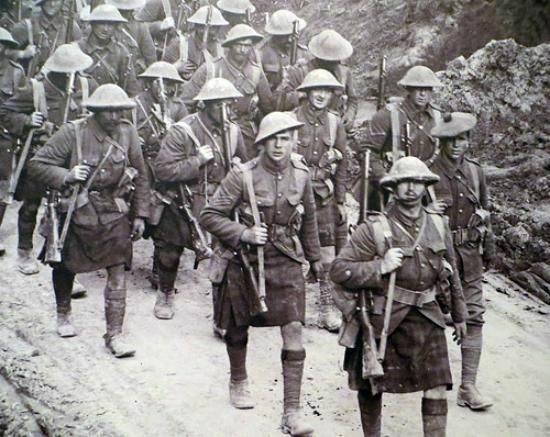 A pleasant sea voyage was followed by a long but interesting railway journey and at last, Mick was landed amongst a battalion composed largely of ex-regulars of the Highland Regiments. 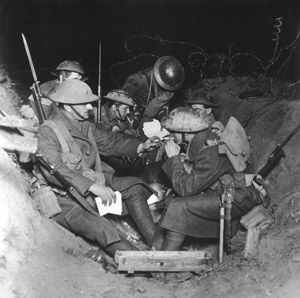 Three days went by – the battalion received orders to move down to take part in the Grand Finale of the Campaign. Hemmed in on all sides the Germans were at last at bay. 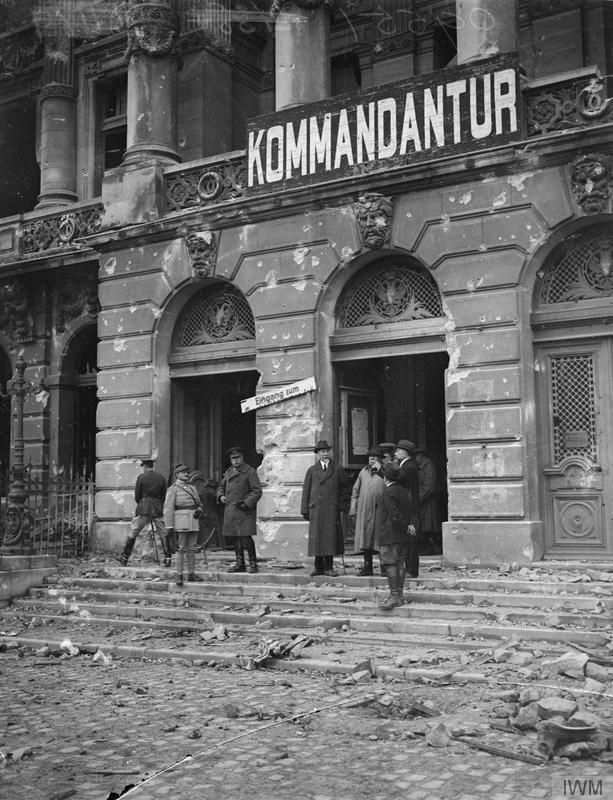 The same night came news of the surrender of the entire German forces. 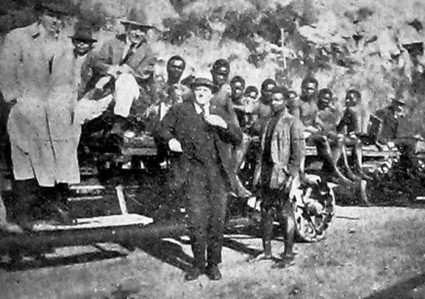 Mick returned with the regiment to Johannesburg via Cape Town. After a triumphal March through the Golden City the regimental pipes skirling in front they proceeded to a demobilisation camp and a few hours later Mick walked out once more free. Returning to Cape Town Mick found the 1st Rhodesian Regiment arrived and awaiting orders to proceed overseas – interviewing the Commanding Officer regarding reenlistment Mick was told to hold himself in readiness until definite orders had been received. 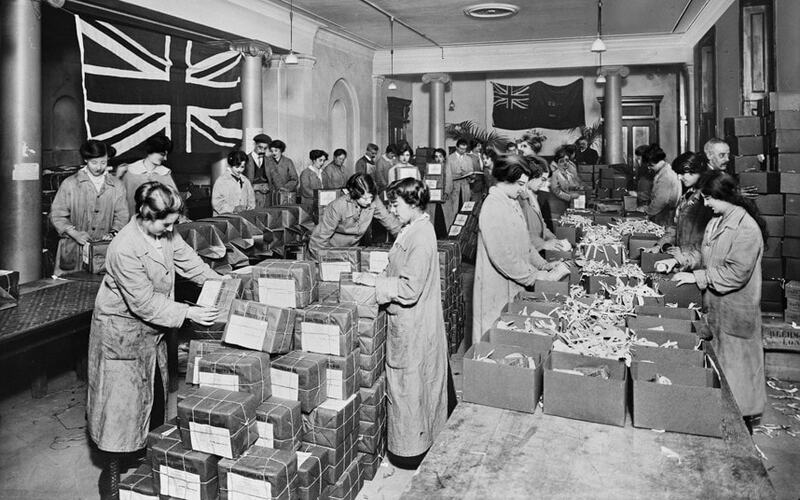 Unfortunately, a good deal of dissatisfaction existed in the regiment and a day or two later it was disbanded many of the men returning to Rhodesia which was being threatened by a German invasion – others disgusted with Colonial warfare proceeded to Europe to enlist in Imperial units. For a few days, Mick picked up the threads of his old Sea Point life doing some mountaineering and fishing. With several friends, he discussed every phase of the situation. All were emphatic that they would not serve again in units controlled by the Union Government or engage in Colonial warfare. Their hearts were set on Europe but funds were lacking and scheme after scheme of going to Australia, England or Canada to enlist were threshed out and dismissed as impracticable. Then came the news that a brigade of infantry was to be raised immediately for service in Europe. The brigade was to be equipped and paid by the Imperial Government and the troops to be enlisted as units of the Imperial Army. The next day Cape Town awoke to find itself placarded with recruiting posters, military bands marching through the town, pipes skirling, processions of veterans of former wars exhorting the fit and young to follow in their footsteps and all the beauty of the Cape calling on men to behave as men. Still in the uniform of their Union regiments Mick, his brother and a dozen chums joined the long waiting queues outside the City Hall – waited hours, fought their way into the examining doctors presence and after many hours suspense and struggling found themselves soldiers in the King’s Army. The first year of the war was over. Mick, his brother and chums were lusty with life bronzed and well experienced in army life. All had smelt powder, were trained soldiers and now with open eyes, and sober minds had definitely chosen their future course. They had taken a man’s share in the greatest of all wars and it was due to no fault of their’s that little of the actual clash of arms had come their way. Not one had hesitated a moment as to where duty lay. They had played a part in the land of their birth and now eagerly they went to help the land of their fathers, to the battlefields of their race. Mick, his brothers and three school chums enlisted together. Two bore Swedish names, one Irish, two Dutch. Three were to lie beneath the poppies of Flanders, one to rest in Brighton’s Hero Corner. Mick to return a man hardly worn by suffering, hardship and captivity. From Youth, the five entered manhood and a life which was Life, Love, and Battle and truest Comradeship – life in the service of the Red Gods.